In Octavia Butler’s time-traveling fantasy Kindred, the novel begins with the main character, Dana, losing her arm. Even without the ending, that is an unusual way to begin a story. 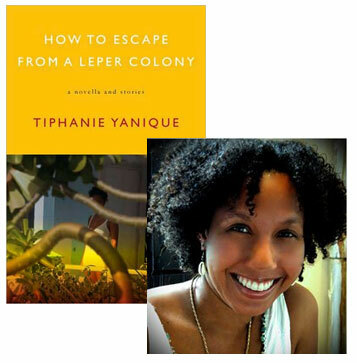 Similarly, Tiphanie Yanique‘s mythic/mystical/religious storytelling in her short story collection How to Escape from a Leper Colony, includes in the title story, a character named Deepa who has leprosy in her arm and is danger of being cut off. Other stories in her book feature crumbling bridges that attempt to connect Caribbean islands and the people on it turning into birds, two symbols of transcendence. The main theme of Yanique’s collection is that of traveling and love (she opens it with the prayer of Saint Raphael, the saint of lover and travelers: “Lead us toward those we are waiting for, those who are waiting for us.”). If I had read both of these earlier last year, I probably would not have seen the connection, but after having read Nathaniel Mackey’s and Wilson Harris’ work on phantom limb and limbo, their works make much more sense. The stories in both books represent a dismembering of and an attempt at re-membering for the characters. Time travel, memory (think of pegasus and the hippocampus), stories, love and even to an extent religion symbolize our efforts to reconnect with something we have loss or feel is missing. The phantom limb is essentially the brain remembering the physical limb despite it not being there; the same for memory in general of trying to hold onto a physical person, event or thing. Butler’s structure of the novel with Dana arm gone and then her remembering time traveling to 1800s slave-era America to save her ancestor, Rufus as well as remembering how she met her husband Kevin. The novel works in a doubleness of “remembering.” The character also is always in a state of limbo, not knowing whether she will be in the present/future or the past. When she finally is able to stay in present, part of her, her arm, will be left in the past, still keeping her in a state of limbo, or dismemberment. Even her trying to learn about her family in the end of the novel can only provide some closure, but not all of it. Yanique’s collection has similar ideas of relationships (Butler’s book is named kindred), love, loss, and longing for a connection. All of her stories center on relationships that are separated in some form (either distance or death) and the individuals that are haunted by it or looking for some kind of transcendence or transformation. One example is in “The Bridge Stories,” a group of short stories about the relationships between different people as the Caribbean islands are constructing man-made bridges between them. Throughout the book, Yanique emphasizes the insular feeling of living on an island (“a island could be like a world”) and characters struggling within and beyond that boundary of physicality. In the sections of the Bridge Stories, such as one about Margo who is returning to her husband after some time apart to find him with another woman and the young pageant queen, Guadeloupe, who is trying to find her true self, both include humans transforming into birds. Immediately, I thought of the muni bird of Papa New Guineas that Nathaniel Mackey mentioned, the bird representing a type of limbo between heaven and earth, flying and also coming back down to the ground. Their longings transform them into birds and the birds are symbolizing that longing to reconnect past a physical limitation. I don’t know if either Butler or Yanique knew of the phantom limb theme beforehand, but it is fascinating that it is permeates through their works. 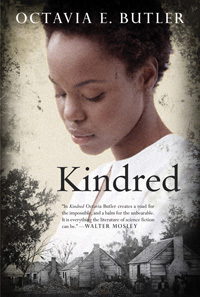 Here are links to discussions on Kindred and phantom limb. NextOtherworldly Videos: A Lot of New….